Analysis of data from Advanced LIGO detectors revealed four new sources of gravitational waves. The signal GW170729 is connected to the most massive and distant source that was observed so far. Another one, GW170818, was discovered thanks to global network of three LIGO-Virgo detectors. It corresponds to the binary system located around 2,5 bilion light years from Earth. During the first observation campaign (O1), taking place from 12th Septemer 2015 to 19th January 2016, conducted by the Advanced LIGO detectors (that are constantly being improved), gravitational waves from three events of collisions of binary black hole systems were detected. Second observation campaign (O2) was conducted from 30th November 2016 to 25th August 2017, although from 1st August 2017 European interferometer Advanced Virgo joined the campaign. During the seminary in College Park (Maryland, USA) on Saturday, 1st December 2018, four new cases of gravitational wave detection were presented: GW170729, GW170809, GW170818, GW170823 (designations inform about date of detection). New signal GW170729, one of the four newly discovered, has been registered as third event in O2 campaign, on 29th July 2017. It is connected to the most massive and distant source of gravitational waves that has been observed so far. 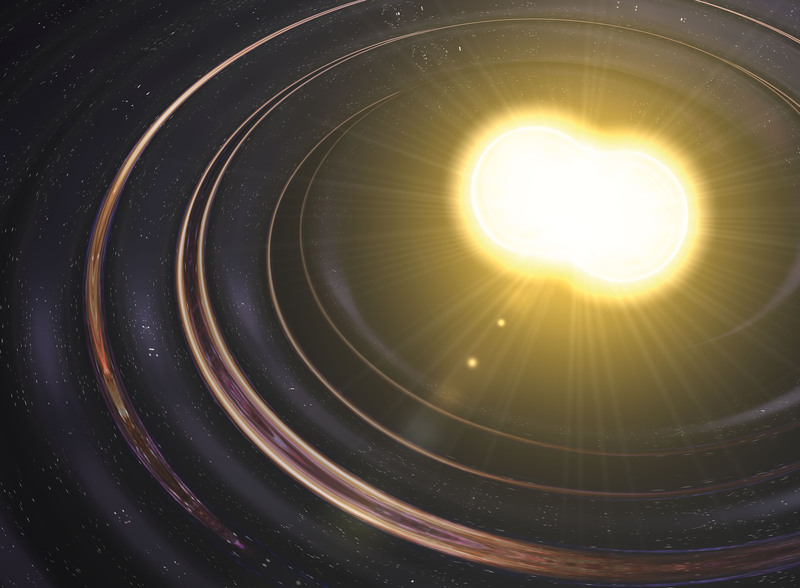 In an event which happened almost 9 billion years ago, energy of nearly five masses of the Sun has been converted into gravitational radiation. Another new interesting signal is GW170818, found thanks to global network of three detectors LIGO-Virgo. Observations conducted by three detectors located in different parts of the world allow to locate the source of the signal on the sky. In particular, GW170818, corresponding to a binary system located around 2,5 billion light years away from Earth, was located with accuracy of 39 square degrees. On the list of results from observation of O2 campaign, also lies the historic first observation of two neutron stars collision and seven event of collisions in binary black hole systems. The paper showing new signals is available under following address: https://dcc.ligo.org/LIGO-P1800307/public. The observatories also published catalogue of all gravity wave signals detected so far. It can be found under: https://www.gw-openscience.org/catalog/. LIGO and Virgo are international research projects. LIGO is funded by NSF and operated by Caltech and MIT, which designed and built the detectors. The list of th eadditional project participants, amassing many prestigious institutions and universities can is available under: http://ligo.org/partners.php. Virgo consortium amasses over 300 physics and engineers belonging to 28 different research groups (members of Virgo can be found under address: http://public.virgo-gw.eu/the-virgo-collaboration). Polish team Polgraw-Virgo, led by Professor Andrzej Królak takes part in projects LIGO and Virgo. The team consists of four NCBJ employees: Professor Andrzej Królak, Dr Orest Dorosh, mgr Patriosh Verma and Dr Adam Zadrożny.